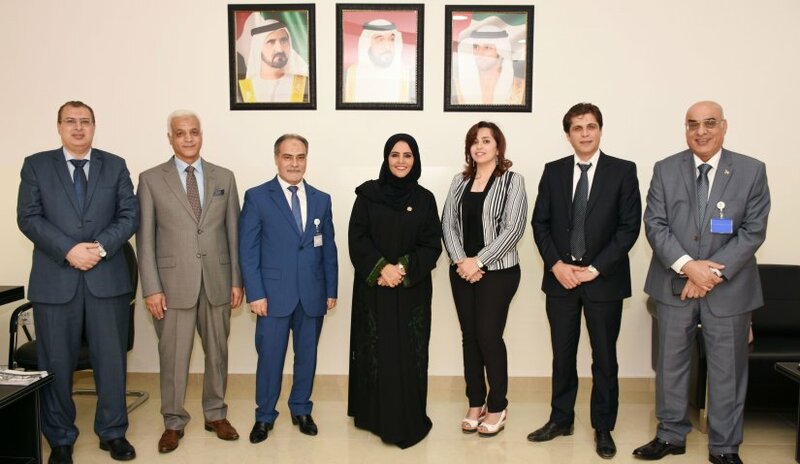 Prof. Abdelhafid Belarbi, President and Dr. Sameer Barghouthi, Vice President for Academic Affairs welcomed Ms. Naama Al Sharhan, Member of the Federal National Council and Chairperson of the Education Committee to Al Falah University. The visit organized by College of Mass Communication in cooperation with the Deanship of Student Affairs included a discussion about several educational issues that serve the educational process in AFU. Besides Prof. Belarbi and Dr. Barghouthi, Dr. Khaled Heneidi, Dean of College of Mass Communication, Prof. Nasr Abbas and Dr. Rene Askarous, Assistant Professor from College of Mass Communication also participated in the discussion. Student Delegation from Al Falah University Visits Treatment Plant "Envirol"